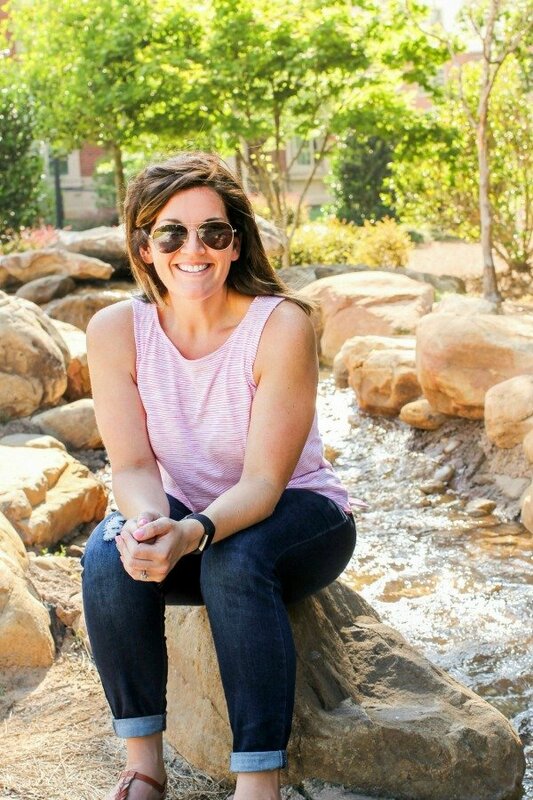 February 15, 2016 By Allyson 8 Comments This post may contain affiliate links. Read my disclosure policy. 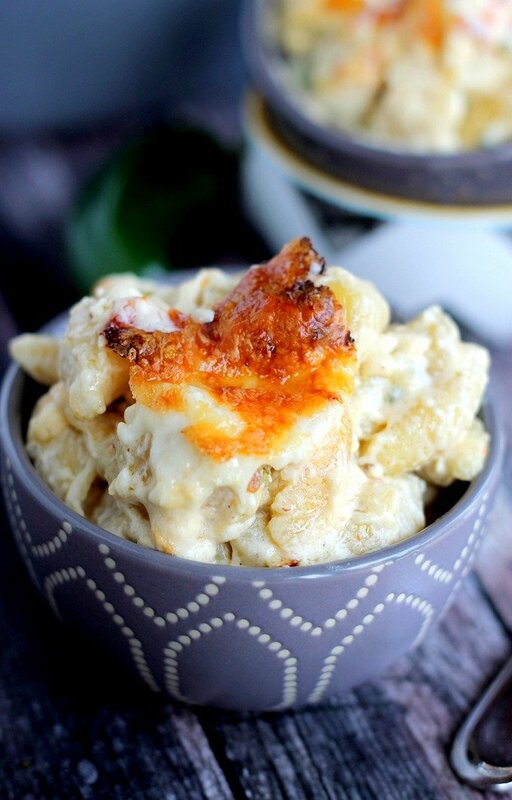 Spicy Jalapeno Mac & Cheese is ultra creamy with a kick of spice. 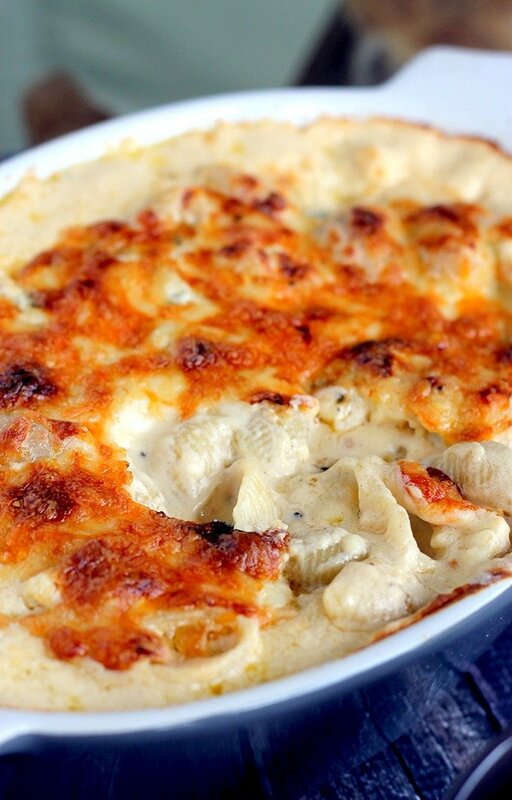 Packed with two cheese and fresh jalapenos, this is the perfect homemade Mac & Cheese! 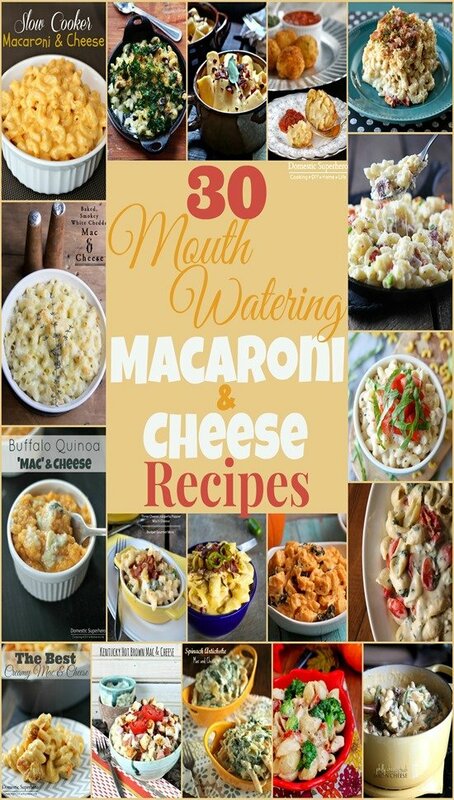 You guys……I have the most excellent Mac & Cheese recipe for you today; Spicy Jalapeno Mac & Cheese. Now, full disclosure, I started making this recipe 2 years ago, and it took a bit to perfect. Once I did perfect it, I knew I had to share it will y’all…but, then, for whatever reason, it kind of fell by the wayside. Now, since 2016 started, I have been trying to eat really healthy, and I felt like maybe I shouldn’t share this, because it is so NOT healthy…but, you know what? Even when you are being health conscious, you should still treat yourself and indulge once in a while on the things you love most. 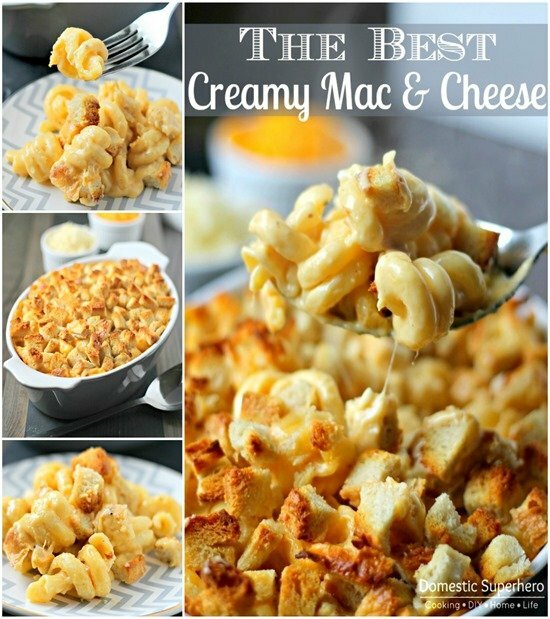 In this case, delicious Mac & Cheese. 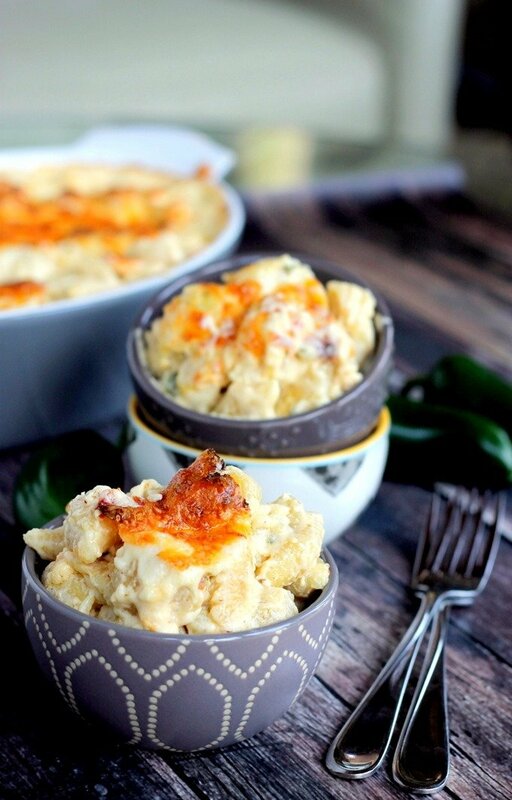 When you first dip your serving spoon into this golden cheesy top, be prepared to let our a large sigh…you are going to die when you see the creamy cheese nestled around the noodled on the inside. It is so good. 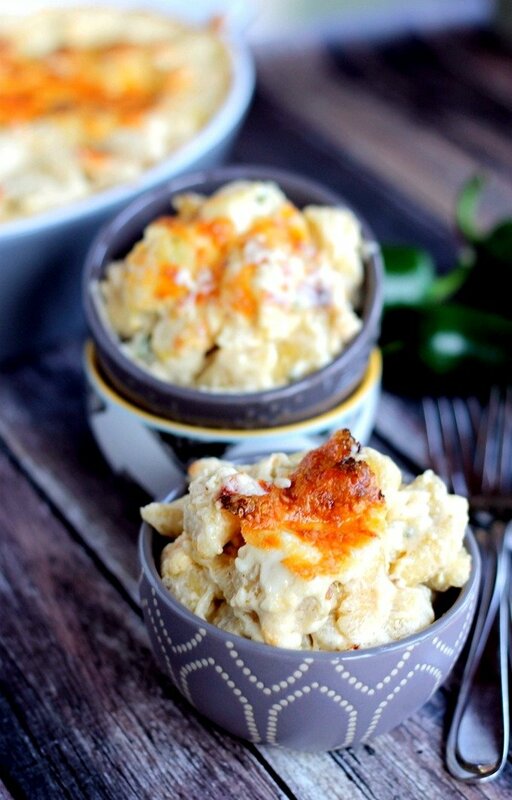 I hate when you make homemade mac & cheese and it’s dry, or there is no cheese sauce left; this is not the case in this Spicy Jalapeno Mac & Cheese. There is plenty of ooey-gooey cheese to keep it saucy. When you make this, be prepared for people to ask for the recipe, and for it to be devoured. It’s amazing. I realize I have used these types of adjectives a lot within this post, but for real, there is no other way to describe it. It’s amazing. 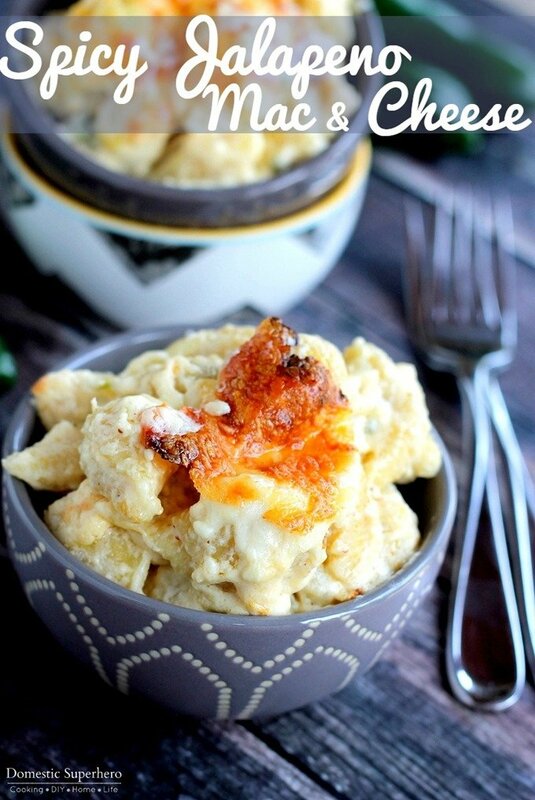 I need to make this Spicy Jalapeno Mac & Cheese again STAT. I seriously cannot even take looking at these pictures. I am sitting in the coffee shop, writing this post, and I am literally drooling. Save me!!!! Boil the pasta for about 10 minutes, or until al dente, drain. Return to the pan you boiled it in and set aside. While the pasta is boiling, make the sauce: In a medium saucepan over medium heat, melt the butter. Add the flour, salt, and black pepper. Whisk constantly over medium heat for about three minutes. Continue stirring with the whisk and slowly pour in the milk. Over medium high heat, whisk the mixture until it begins bubbling and thickening; continue for about 30 seconds whisking. Add mustard, 2 cups cheddar, 2 cups fontina, jalapenos, and hot sauce, whisking until the cheese has melted and completely combined. Pour sauce over the pasta and toss gently until coated well. Lightly grease a large baking dish. Add half the noodles and sprinkle half of the remaining cheeses on top. Add the remaining pastas and sprinkle remaining cheese on top of the pasta. Bake at 375 degrees for about 25-30 minutes or until bubbly and golden brown. 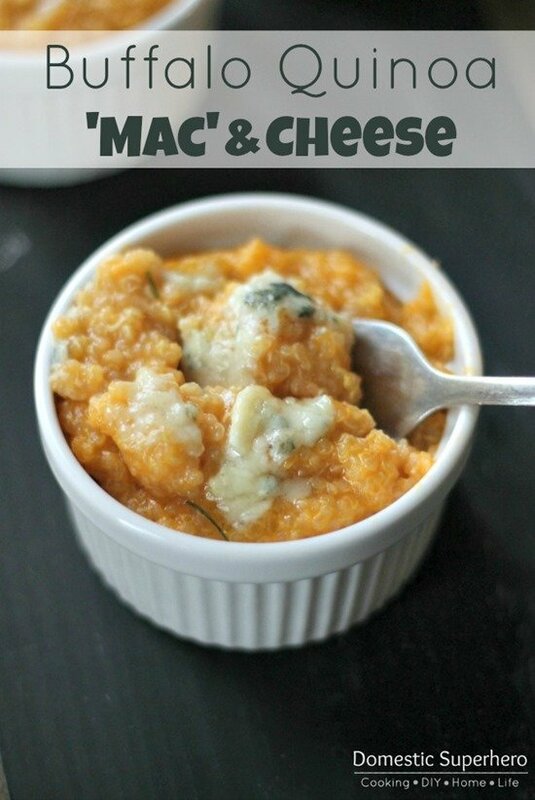 Like Mac & Cheese as much as I do?! Check out these other recipes (click on photo for recipe)! hmm 🙂 I feel like this is a secret message meant for me! yum yum yum the pictures alone make me just want this now! I actually did think of you when I wrote this! You would DIE! It’s so good! Nice recipe. Calls for melting butter but ingredients don’t list butter. How much is needed? Yikes! It should use 1/3 cup of butter! Thanks for bringing that to my attention!